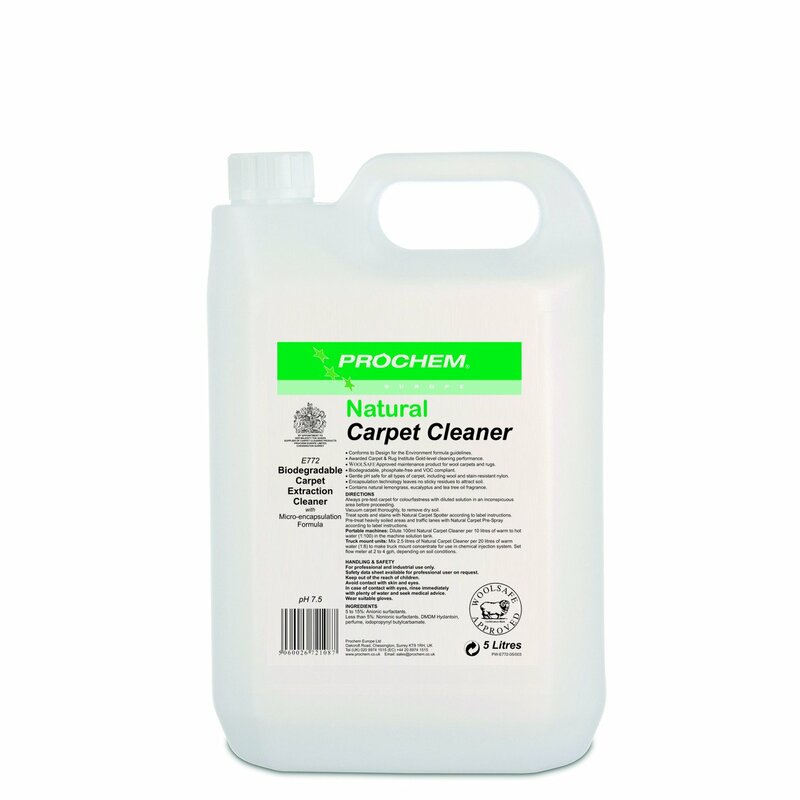 Carpet extraction cleaning concentrate with encapsulation technology and gentle pH, for cleaning most types of carpets and rugs. 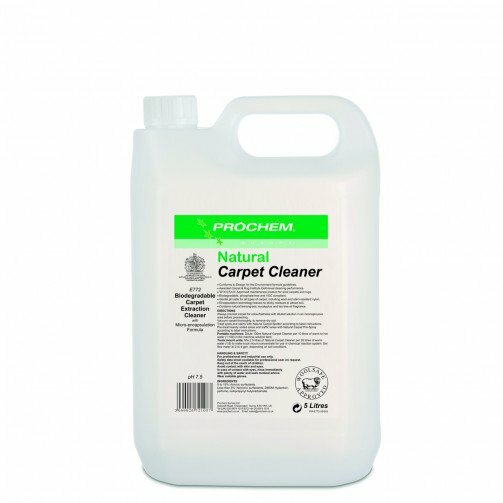 Awarded Carpet & Rug Institute Gold-level cleaning performance when used with Natural Carpet Prespray and Prochem Everest Truck Mount cleaning unit. Clear liquid with natural lemongrass and herbal fragrance. A new range of high performance cleaning products based upon new technology formulations that perform as well or better than equivalent professional products, without harming the environment. All products feature environmentally and user friendly phosphate free formulations coupled with all natural fragrances including lemongrass, eucalyptus and tea tree as well as lavender, orange and peppermint in the new Natural Carpet Deodorizer. Prochem Natural products are free of dyes, synthetic fragrances, EDTA and NTA and contain only ingredients considered safe for the environment. Natural Range formulations conform to the USA EPA Design for Environment guidelines and the Carpet & Rug Institute Seal of Approval where applicable. Green Woolsafe (incorporating Green Seal) approval is pending for carpet cleaning products. Containers are made from recyclable natural polyethylene and outer cartons use recycled fibreboard.